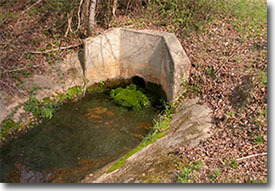 Greenville County was issued a National Pollutant Discharge Elimination System (NPDES) Multiple Separate Storm Sewer System (MS4) permit by the South Carolina Department of Health and Environmental Control (SCDHEC) that provides for the implementation of a Storm Water Management Program (SWMP) for the County to include the four cities of Mauldin, Simpsonville, Travelers Rest, and Fountain Inn. As part of the NPDES MS4 permit, Greenville County is required to develop and implement a program to monitor certain regulated industrial activities that are covered under the NPDES General Permit for Storm Water Discharges Associated with Industrial Activity (except construction). Each year, industries in Greenville County are selected by the Land Development Division, based on their industrial activity, for review to meet MS4 permit requirements. 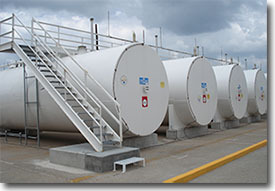 The Industrial Program implemented by Greenville County includes a review of the questionnaire sent out by the Land Development Division to all selected industries and the Discharge Monitoring Reports (DMRs) (if required by the Industrial General Permit); as well as an inspection of the facility if deemed necessary. Storm water discharge permits for industrial activities are issued coverage at the State level with permit limits and/or conditions of operations authorized by SCDHEC. Greenville County does not issue storm water discharge permits or exercise any authority to set discharge limits for Industrial Storm Water Discharge Permits. Who Needs Industrial Storm Water Permit Coverage? Storm water discharges associated with industrial activity are required to be covered under an NPDES permit. A description of storm water discharges associated with industrial activities can be found under the Industrial Tab on Land Development’s webpage, as well as on the SCDHEC storm water webpage. SCDHEC may also designate other facilities as requiring a permit, particularly where there is a potential for storm water contamination. Construction activities associated with industrial storm water are covered under a separate permit and do not require an industrial storm water permit. If your facility requires an industrial storm water permit, you will need to complete and submit a Notice of Intent form to SCDHEC. If industrial materials or activities are not exposed to storm water, an exemption from the permit can be requested. 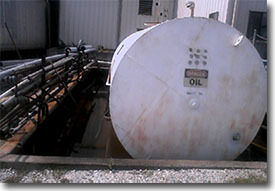 The condition of no exposure must be maintained by keeping all industrial materials or activities protected at all times. If “no exposure” conditions are not maintained, the operator must immediately apply for an NPDES Industrial General Permit. The no exposure exemption is good for five years. The Industrial General Permit will include a requirement that the facility develop a storm water pollution prevention plan (SWPPP) to be kept on the facility site. The SWPPP can be more easily developed using a SWPPP Template. Monitoring of storm water is another requirement for many facilities required to have a permit. The facilities which are required to monitor and the specific monitoring requirements are stated in the permit. 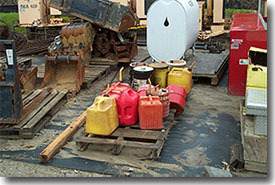 There is an annual fee of $75 for coverage under the Industrial General Permit. The fee must accompany the NOI. For continuing coverage, the annual fee is billed around the middle of August. Coverage under the Industrial General Permit is automatically granted nine days after the postmark of the NOI unless the SCDHEC notifies the applicant differently. SCDHEC has the authority to require an individual permit application be submitted for issuance of an individual permit in lieu of granting Industrial General Permit coverage. There is a $350.00 fee due with the no exposure certification form. Once approved, no exposure certification is good for five years. Activities are no longer present that would require a storm water NPDES permit. Click here for questionnaire, training modules and quizzes.